Whether or not you liked, loved, or hated the DC Extended Universe films up to this point – Man of Steel and Batman v Superman: Dawn of Justice – it cannot be denied that Zack Snyder and company have stockpiled quite the the list of talented actors and actresses. The recent addition of J.K. Simmons (reported to be playing the role of Commissioner Jim Gordon), is further proof of the ability of the DC Extended Universe (DCEU for short) to attract Academy Award winning talent. With Ben Affleck, Jeremy Irons and Jared Leto already on board for slated films, the future for the universe – especially in terms of Batman movies – appears extremely bright. For this article, we have compiled a list of Oscar winning actors and actresses that we would love to see join the DCEU. We wanted a wide range of names that have either been linked to comic book roles in the past, or actors and actresses that simply make sense in the universe based on casting history and previous roles. Here are the 11 Oscar Winners We'd Love to See Join the DC Universe. Matthew McConaughey has been in the industry for a while now, but has really made his presence known in the public consciousness as an Oscar-caliber actor within the last five years or so; the dawn of the “McConaissance” so to speak. Now at the pinnacle of his career, the 46 year old actor has been courted by both Marvel Studios as well as DC/Warner Bros. to play roles in their superhero genre films. When asked about the likelihood of signing onto such films, McConaughey stated that it all comes down to the script and the character. Admittedly, the highly sought after talent has claimed that he would be open to an opportunity if one came along that sounded appealing enough. At the end of the day, it's just as important to find the right fit between character and actor as it is to add talent, and McConaughey has proven to be a quality supporting character – his role as Mark Hanna in The Wolf of Wall Street – as well as an excellent lead; his performances in films such as Mud, Interstellar, and Dallas Buyers Club prove as much. We think he has the gravitas to take on a number of roles in the DCEU, and it could be great to see him playing a villain for a change. This actress may not have a laundry list of films to her credit thus far, but that has not stopped her from acquiring an Academy Award early on in her young career. From playing a key role in an Oscar winning film (12 Years a Slave) to 2015’s biggest blockbuster (Star Wars: Episode VII – The Force Awakens), and even lending her voice talents to this year's highly anticipated, live action adaptation of the Disney classic The Jungle Book, Lupita Nyong’o has proven that she can tackle just about any role that is handed to her. As both Gal Gadot and Jeremy Irons proved in Batman v Superman: Dawn of Justice, even small roles in the DCEU can have a lasting impact on moviegoers. So, whether or not Nyong’o receives a major part, or a minor supporting role, she has the talent and the proven track record to suggest that she would knock it out of the park. This Swedish actress really had a breakthrough year in 2015 with her performance in Ex Machina as well as her Academy Award-winning role as Gerda Wegener in The Danish Girl. With an Oscar already to her credit at the age of 27, Alicia Vikander truly has a world of options as a beautiful and talented young actress. Vikander could be an asset to the DC Extended Universe in a myriad of different roles. Not to mention the fact that she co-starred alongside Man of Steel’s Henry Cavill in last years action/comedy Man from U.N.C.L.E. – which despite poor box office numbers was well received by the majority of fans and critics. With her various roles in 2015 films, Alicia Vikander has proven that she can handle herself as an actress with dramatic, award-winning chops, a character actor that can showcase a bit of a dark side, and even offer some comedic relief from time to time when needed; everything potentially required to be a fantastic addition to the DCEU. Brie Larson is certainly no newcomer to the television and film sphere, and yet, until recently, she was not the household name that she is quickly becoming as her career continues its upward trend. That being said, Larson is asserting herself as one of today’s premiere talents, with starring roles in films such as Short Term 12 and of course her Academy Award-winning performance in Room. Like many actors and actresses on this list, Brie Larson has proven to be a versatile commodity, having guest roles on television comedies – Community, Kroll Show, and The League – in addition to her more dramatic performances. The 26 year old rising star has had a plethora of quality showings over the course of her young career, and still, we get the feeling that we are just scratching the surface with her abilities as an actress. At the end of the day, the name Brie Larson elevates a project – whether it be in a leading role or in supporting fashion. Now this sound like a controversial pick, but hear us out. Firstly, Christian Bale has proven to be a top-notch actor in Hollywood no matter how you look at it. With roles in movies such as The Big Short, American Hustle, The Fighter, 3:10 to Yuma, The Prestige, American Psycho, and of course, the Dark Knight films, we are all certainly aware of Bale’s talents as a performer. The problem inlying here is of course that Christian Bale has already donned the cowl as the Caped Crusader in the only-recently-concluded Christopher Nolan trilogy. But we really don't think this is much of a roadblock. Firstly, Bale could be cast as anyone in the DC universe, and we would all accept it because he is in fact a fantastic actor. There could be some funny, meta-laced wink to the fact that he was the former Batman, and then we would all move on. there's also the fact that his appearance could be tied to another universe – separate universes are not new to the comics and it already looks like they could be tying that into the DCEU with the first appearance of The Flash in Batman v Superman: Dawn of Justice. While this may not be the most likely actor on our list of Oscar winners, it would certainly be fun to see Bale back on screen in the DC universe. Like McConaughey before him, we think Bale could make for an excellent villain, particularly if that villain were squaring off against Ben Affleck's Batman. The line to see that showdown would begin behind us. Mirren has proven herself as a world class actress in a myriad of fantastic films: The Queen, Gosford Park, The Madness of King George, and most recently Eye in the Sky just to name a few. The 70 year old has also proven herself to be quite the voice actress as well – Monsters University, The Hitchhiker’s Guide to the Galaxy, The Prince of Egypt. Her versatility has given her opportunities to show her skills in every medium imaginable, and she's even worked with Zack Snyder – the architect of the DCEU so to speak, as well as the director of Man of Steel, Batman v Superman, and the upcoming Justice League films – on his 2010 directorial effort Legend of the Guardians: The Owls of Ga’Hoole. On a list full of versatile actors and actresses, Helen Mirren stands out in an uber talented crowd. She is an absolute asset to whatever set she graces, and we would absolutely love to see her play one of many possible roles in the DCEU. Christoph Waltz may have entered the public consciousness with his breakout performance as Col. Hans Landa in Quentin Tarantino’s WWII masterpiece Inglorious Bastards, but rest assured, the Austrian born actor has been in the industry a long time, just not in a way most moviegoers would perhaps recognize. Until recently, Waltz has mostly worked as an actor in Germany, with a few unsuccessful attempts to break into English speaking films before 2009’s Inglorious Bastards. Ever since, Christoph Waltz has been catapulted into international superstardom and has brought a magnetism to every role he plays. Of course, it's easy to cast him as a villain at this point, as he's actually flirting with having been typecast as one, having played the baddie in several other notable films (Horrible Bosses 2, Spectre, The Legend of Tarzan). But in reality, Waltz can really pull off a number of different characters within the universe, not just the bad guy. Like many actors on the list, Christoph Waltz is a name that elevates a film and can be a major contributor in a number of different roles. Javier Bardem is another actor who is most well known for a portraying nefarious characters on screen. His Academy Award-winning performance as Anton Chigurh in Ethan and Joel Coen’s No Country for Old Men is highly regarded and often considered to be one of the best villainous performances on film this century. Due to this fact, it is easy – similarly to Christoph Waltz – to cast Bardem as an antagonist in any film, but he can really be an asset in other areas as well. Having worked with some of the best directors in the business – Alejandro González Iñárritu, Sam Mendes, The Coen Brothers – Javier Bardem is a quality actor that would really add some character depth to a number of roles in the DCEU. Working in both Spanish film and television, as well as Hollywood films, Bardem is a name that we would be thrilled to see join the ranks of Academy Award winners in the DC Extended Universe. It's not that long ago that Washington was rumored to be getting ready to don a power ring of will by playing John Stewart, the new Green Lantern of the DCEU. As we now know of course, that didn't happen, but at the same time, there is no definitive word out on who will be playing the Green Lantern in the DCEU. At 61 years old, Washington has almost certainly aged out of his chance at playing a superhero, but we'd still love to see him participate in the upcoming DC films in some capacity. 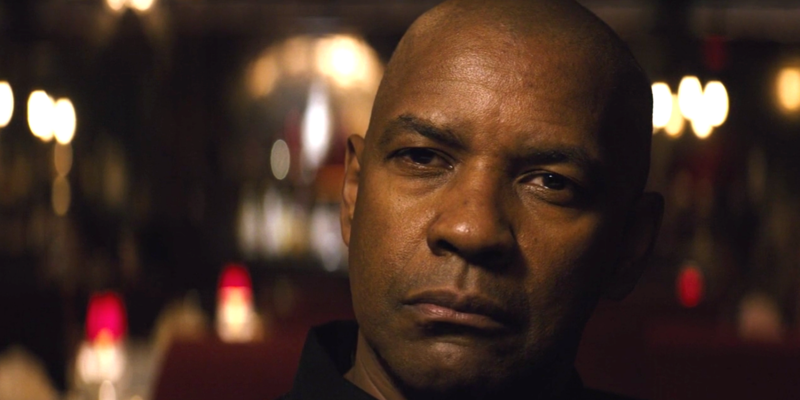 It's easy to forget just how good Denzel has been over the past few decades because he is such a consistently fantastic performer, in films like Training Day, Remember the Titans, Glory, Flight, Malcolm X, and many other amazing movies. The two time Academy Award winning actor is not only an incredible talent, but an A-List movie star that we would be absolutely ecstatic to see join the DCEU. Jessica Lange may be most recognized now by her role on FX’s American Horror Story, but make no mistake, she is no stranger to the big screen. The two time Academy Award-winning actress has been a major player in Hollywood since the late 1970s, and has arguably been getting better and better. More recently, the American born actress has placed herself in an elite class of actors and actresses that have won multiple Emmys and multiple Oscars. In a supporting presence, or in a leading role, Jessica Lange is an absolute acting force that would be an asset to just about any film. Both Man of Steel and Batman v Superman: Dawn of Justice has shown Warner Bros. ability to attract veteran talent – Russell Crowe, Kevin Coster, Jeremy Irons, Holly Hunter, Diane Lane, and Laurence Fishburne to name a few – and Lange would be a fantastic addition to an already stacked list of actors and actresses. Whether or not he would be interested in playing a role in the DCEU is another discussion entirely, but if you were to ask us who would get us most interested in seeing a comic book film, we would be hard-pressed to find a more intriguing name than Leonardo DiCaprio. It's easy to forget that Warner Bros. had wanted to go ahead with a fourth film in Christopher Nolan’s Dark Knight franchise and had their hearts set on DiCaprio for the role of The Riddler, a pairing we never knew we needed until we heard it. Much like McConaughey, Leo would probably have to be blown away by the script and character before signing on, and would most likely not want to lock himself into a multiple film contract. It may sound like a fever dream now, but as the DCEU looks to the future, Warner Bros. and DC could do themselves a huge favor by adding to their ever-growing roster of Oscar-winning actors and actresses. Who are some Academy Award-winning actors or actresses you would like to see join the DCEU? Make sure to let us know what you think of the list and give your own selections in the comments.